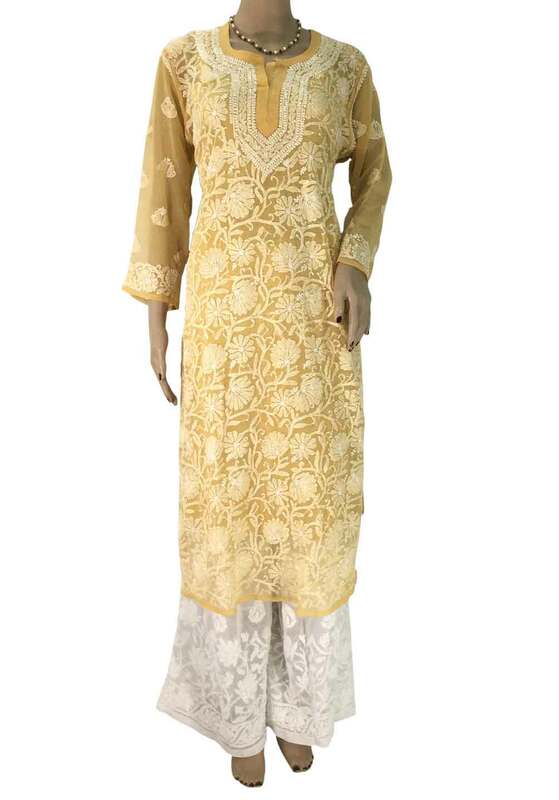 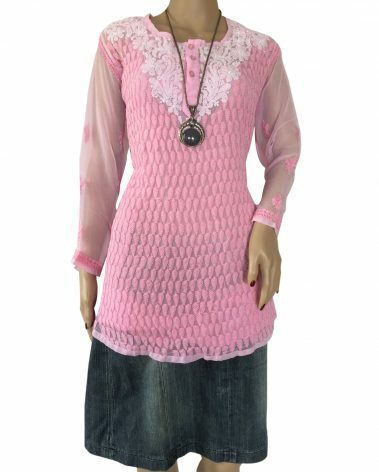 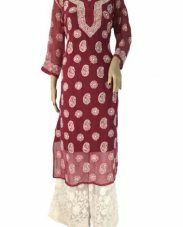 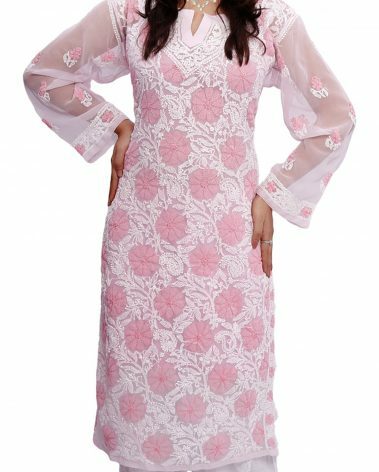 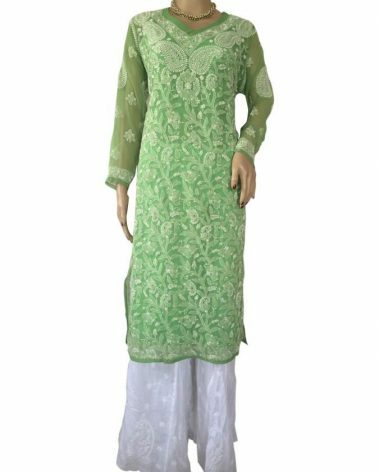 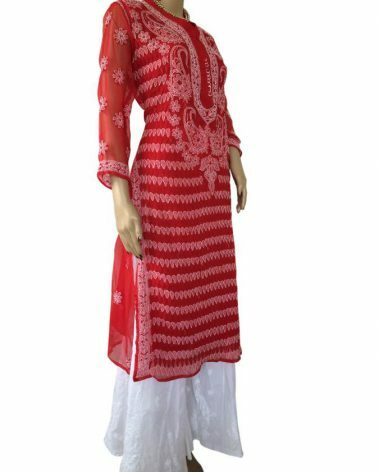 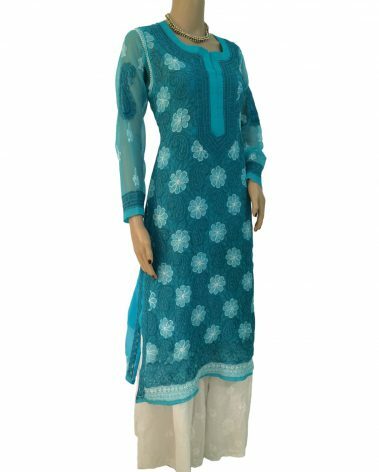 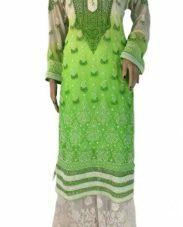 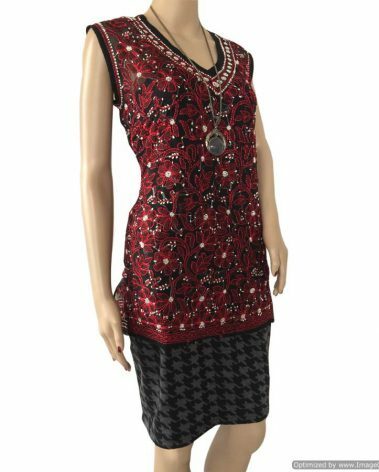 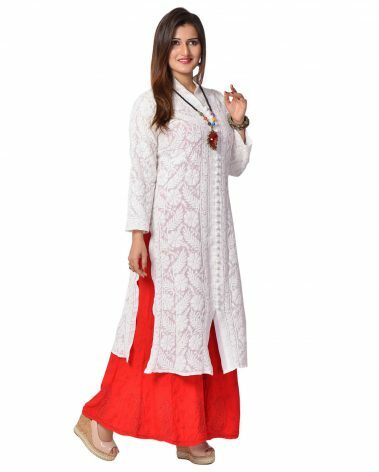 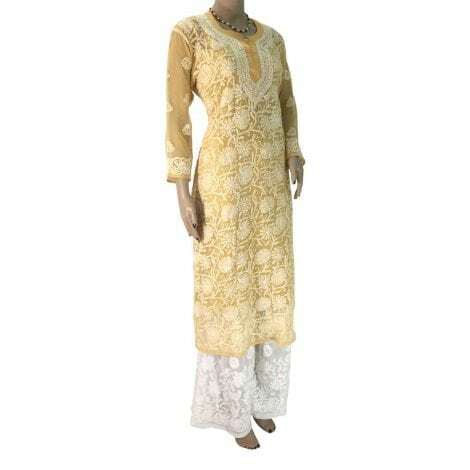 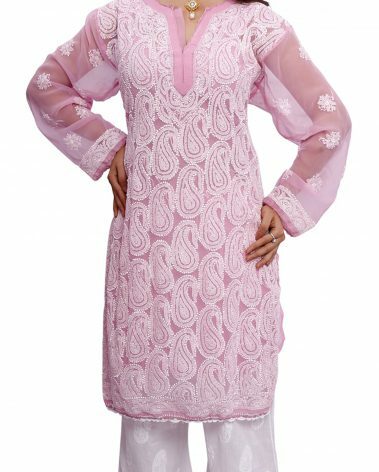 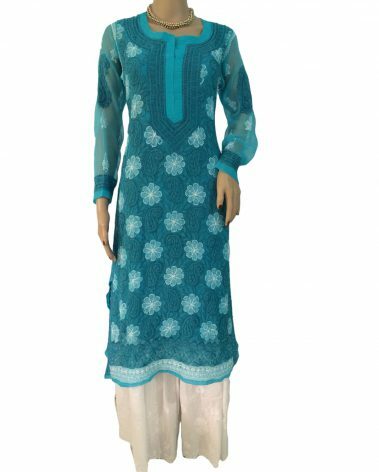 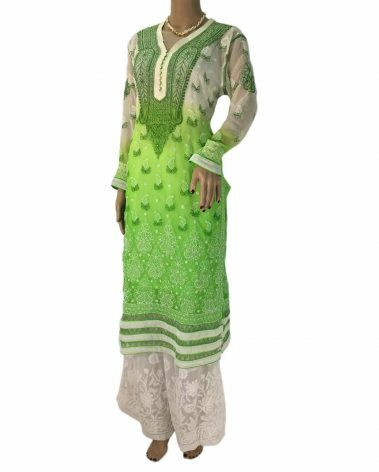 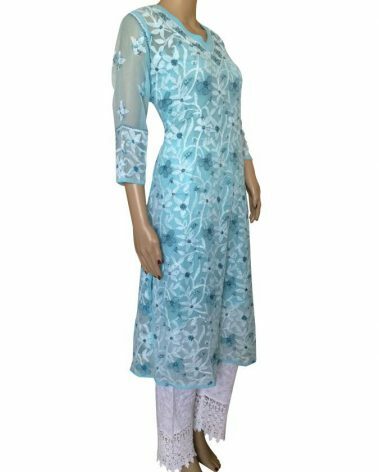 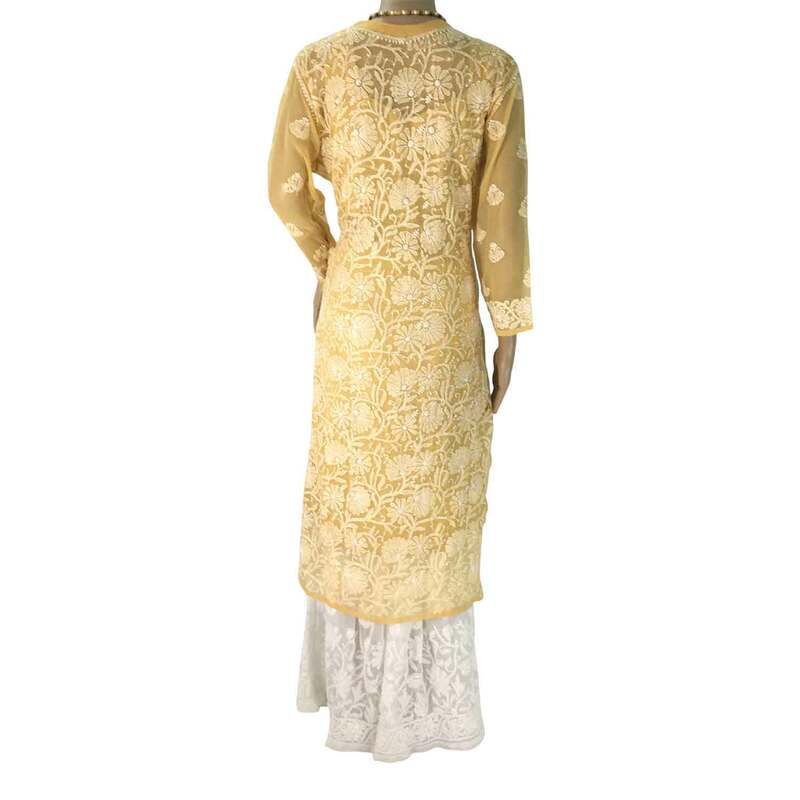 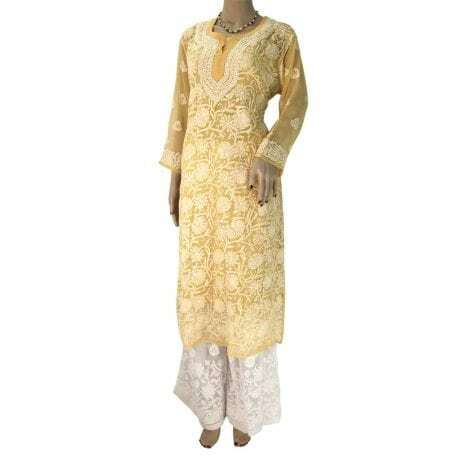 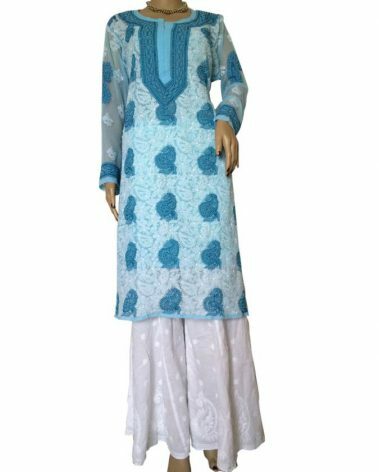 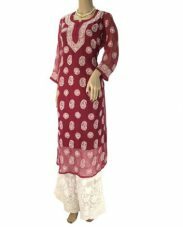 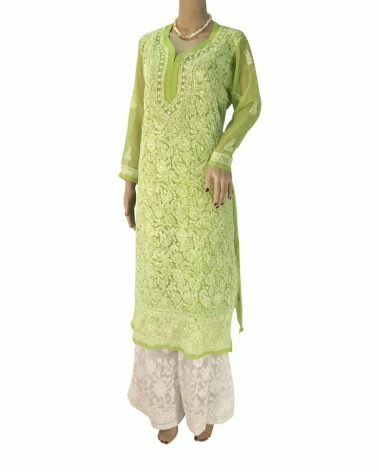 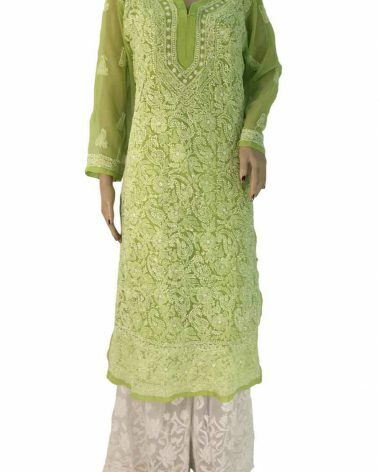 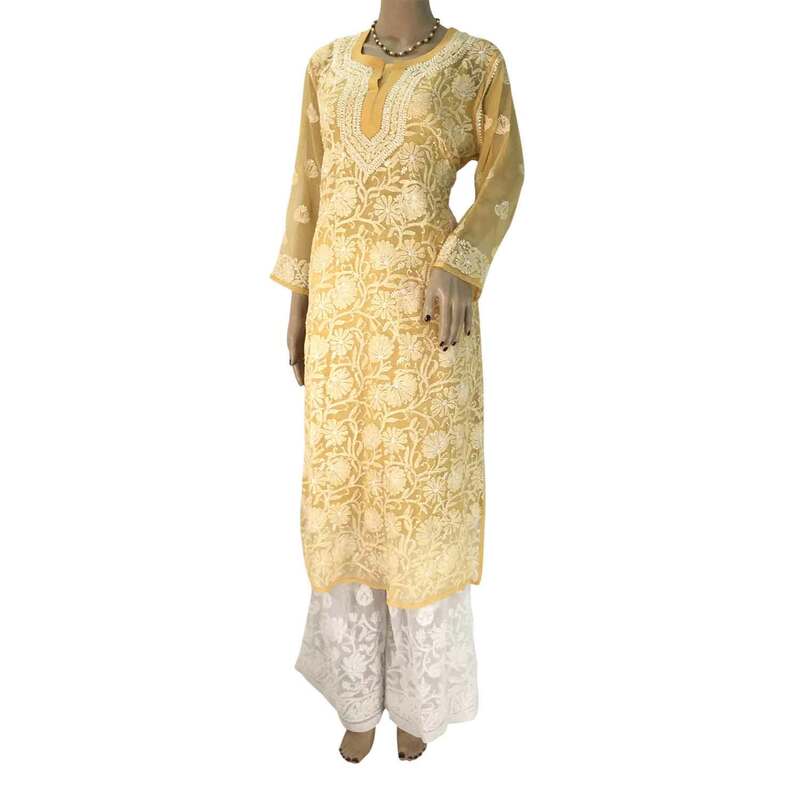 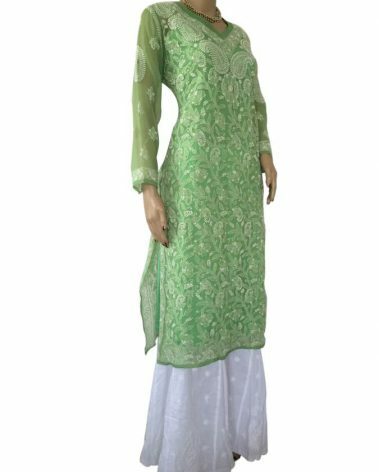 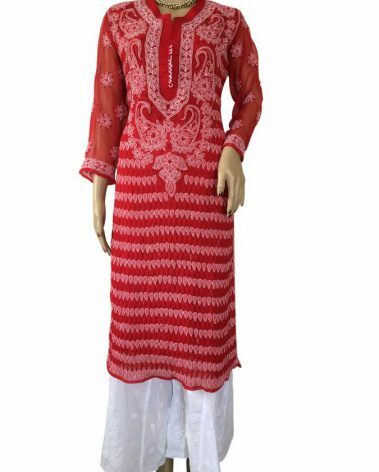 Beige Long Georgette Lucknowi Kurti with intricate patterns in front of kurti. 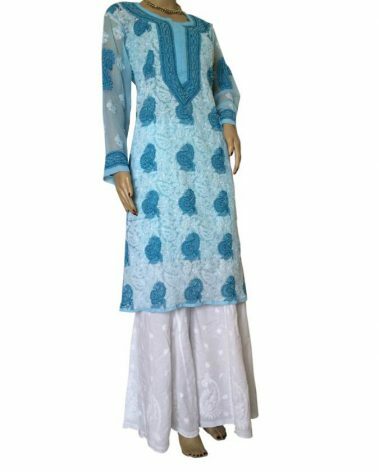 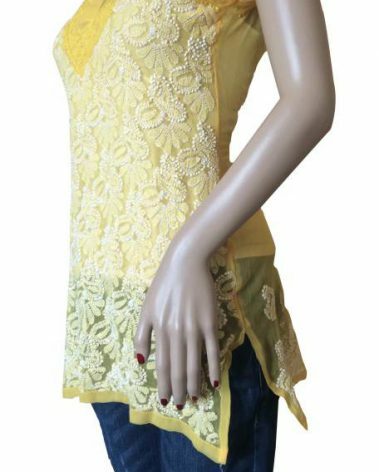 Hand Embroidery front and back with silk thread. 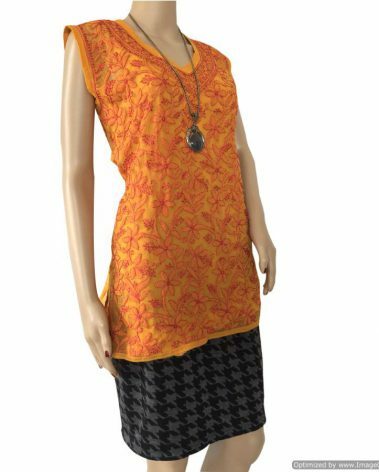 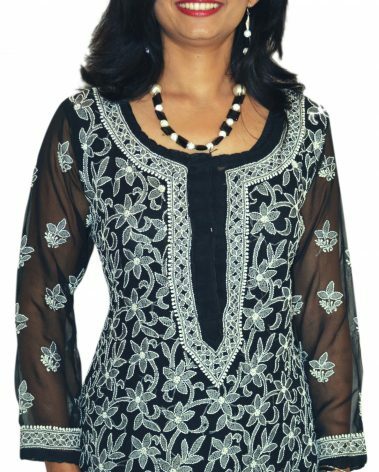 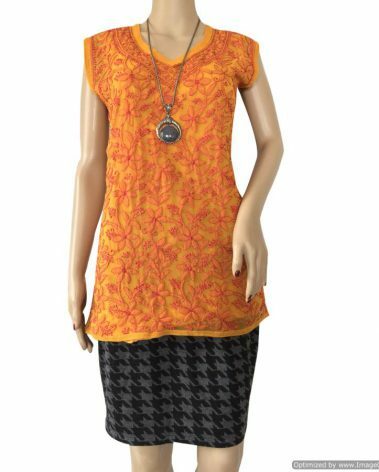 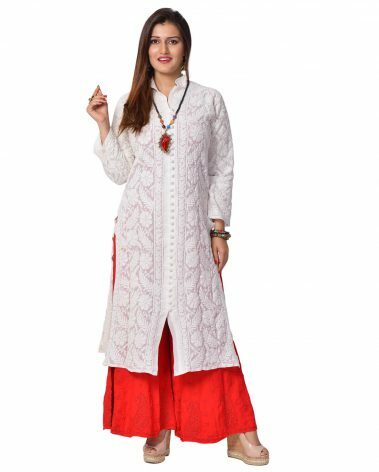 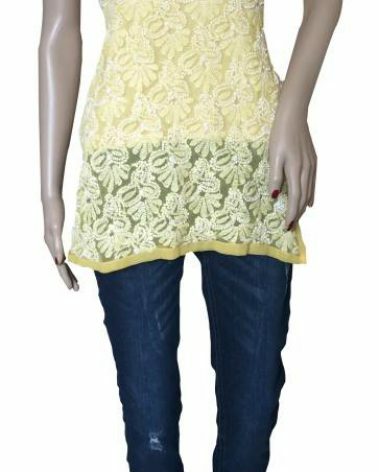 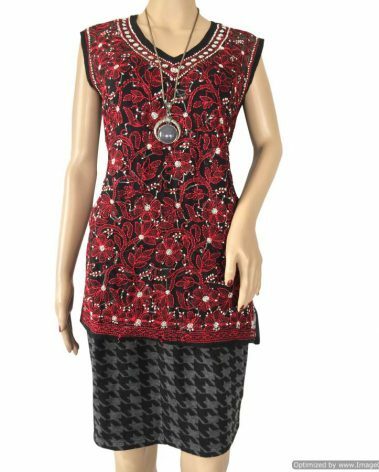 Best paired with Palazzo or Dhothi Salwar or Churidar.